There are tons of things you need to know about being social. Here are the five critical things you need to know about being ‘Social’. 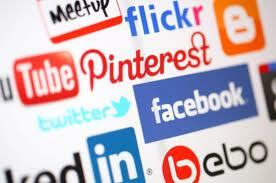 The fact of the matter is you have to be active on social networks and stay in front of your customers. Keep updating your blog, changing and refreshing the content on your site, blog and social channels. Not only will it show that you care, but also communicates to your audience that you are a genuine business. Customers are consuming more content than ever. You need to go where your customers are. Target more customers for better results. Be open to criticism and praise. We live in a world of immediate response. Fans become more loyal when users and customers are given a forum to interact. They know they are not being taken for a ride by a company who cannot be found online. Blogging is the best way to bring customers to you. Every blog is a new chance to make a sale and create a new entry point to your website. Keep an insatiable desire in your customers for more content. Online buyers read at least 10 pieces of content before making a purchase. The one thing you should not remove out of social media is about being social. Starting conversations, replying and engaging with your customers online. If you walk out of a conversation, that would be rude. The same principle applies to your online presence. Make the most out of your time you spend online and build real relationships.